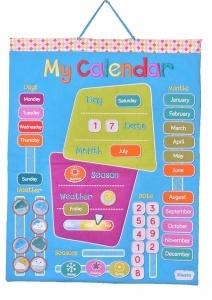 This gorgeous wall hanging will brighten up a child’s bedroom or playroom or can take pride of place in the kitchen. 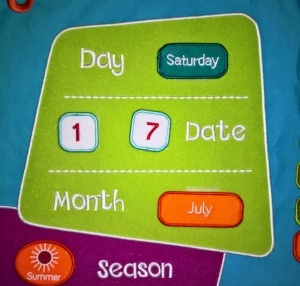 Invaluable for helping children learn about the days of the week, dates and months as well as ‘forecasting’ the weather. 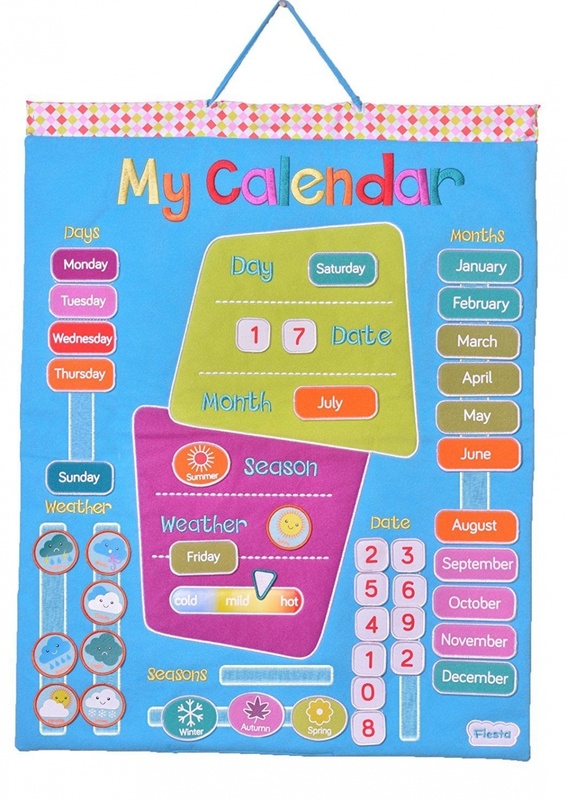 Both the embroidered pieces and the wall chart have a soft cushiony feel making it very tactile. 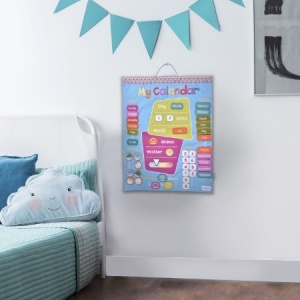 This wall chart is long lasting and can be handed down to other children. Spare pieces are available if any get lost. Makes ‘counting down’ to special occasions easy to understand.